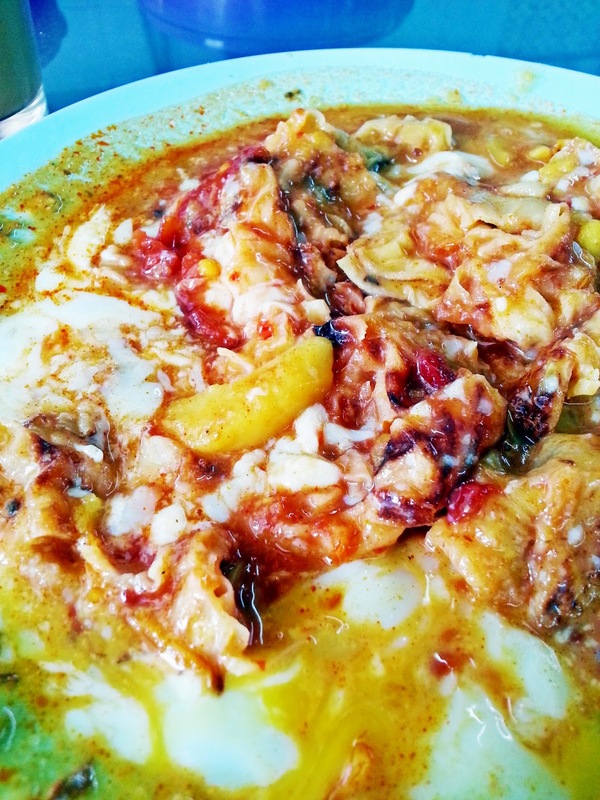 Everyone has tried the usual Roti Canai Banjir but this particular Roti Canai Banjir Special is a unique dish that is only available here at Mansion Tea Stall which is located on the Ground Floor of Selangor Mansion. This used to be my favourite post midnight hangout during my varsity days and that was sometime around the year 1992 and since then, I have been a loyal customer of this place. Not many people are aware of this dish and that is why I would like to introduce this special dish via my blog today. These days, I am hardly around Masjid India and as I was here this morning on some work assignments, I decided to drop by to savour my favourite Roti Canai Banjir Special. 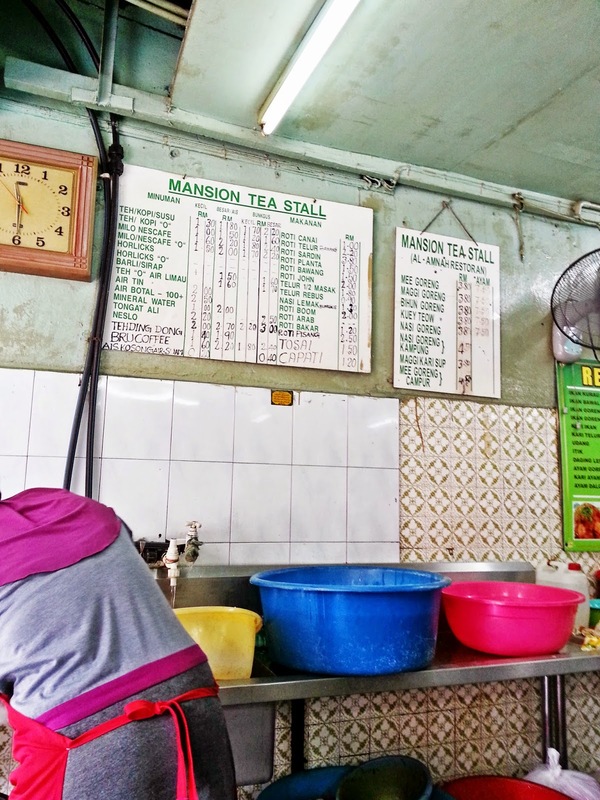 Those days, they used to be officially known as Al-Amnah Restaurant but still, everyone used to call them by their pet name, Mansion Tea Stall and recently, they have ceased using the older name and officially replaced the name to Mansion Tea Stall. Since the time that I can recall coming here, they have always been operating 24 hours daily and still do. This place has two entrances, one from the Masjid India side and the other from Jalan Melaka heading towards Lebuh Ampang, where the old Citibank used to be. Assuming that you are coming from Jalan Melaka, come to the centre of Selangor Mansion and you would notice two stalls operating there, one would be Mansion Tea Stall on your right and Restoran Noor on your left. It is generally free seating here and customers from both stalls, share the same space. 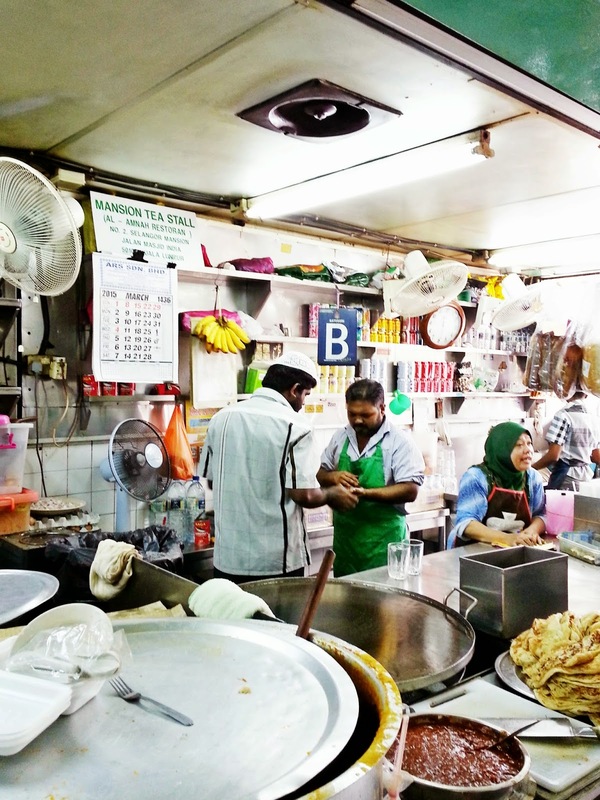 As mentioned earlier, Mansion Tea Stall operates round the clock but Restoran Noor only operates up to limited number of hours, not too sure as to what the exact timings are but they are surely opened for lunch and dinner. 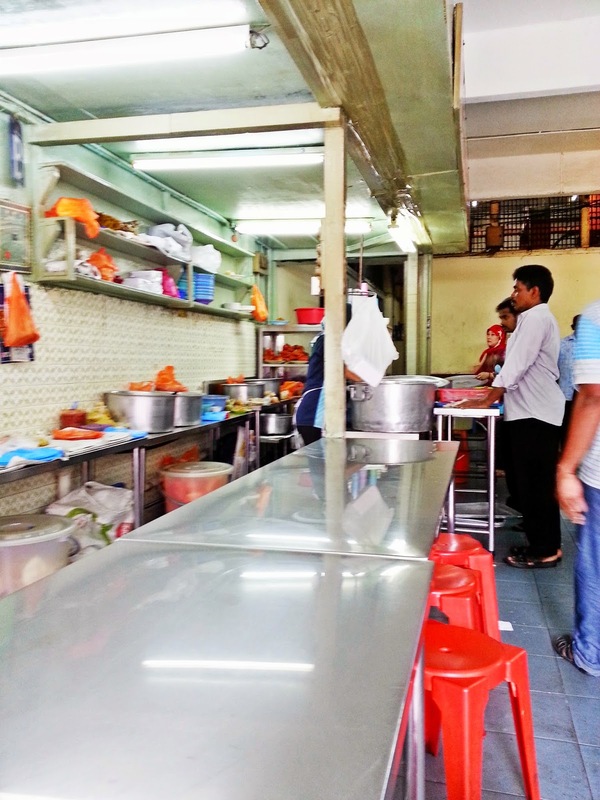 Restoran Noor specialises in Nasi Kandar style food and that includes Briyanis. I have not tried the food here but hope that I would someday. Everytime I am here, I keep ordering the same dish from Mansion Tea Stall. The place is mostly crowded and you would be surprised if I said that it is the same in the wee hours post midnight too. I still remember clearly that from around midnight till about 2 am, it used to be people coming after the 9 pm show at Coliseum and from 2 am till around 3.30 am, it used to be students. From 4 am till around 6 am, the place is filled with Postmen who have just finished sorting out the mails for the day and then it is back to the office crowd and this cycle goes on and on day after day. 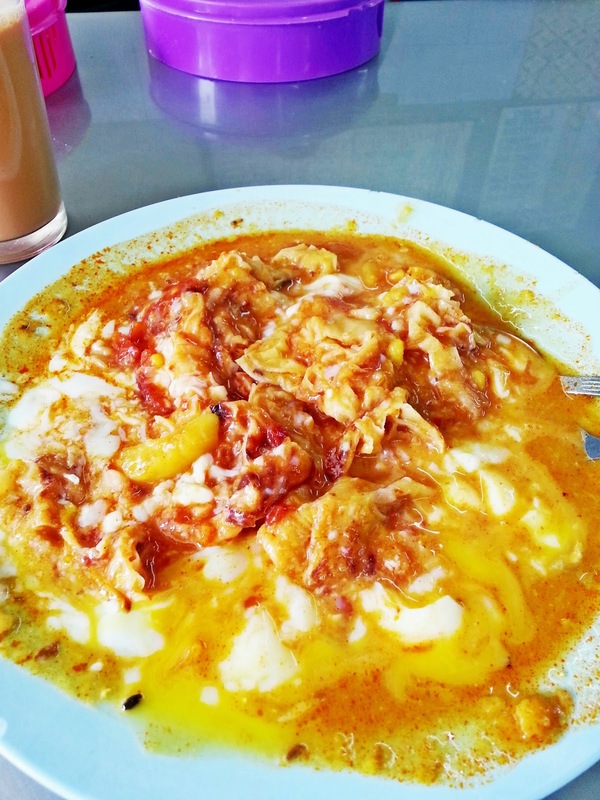 One would probably loose count on the number of Roti Canai's that are sold here. 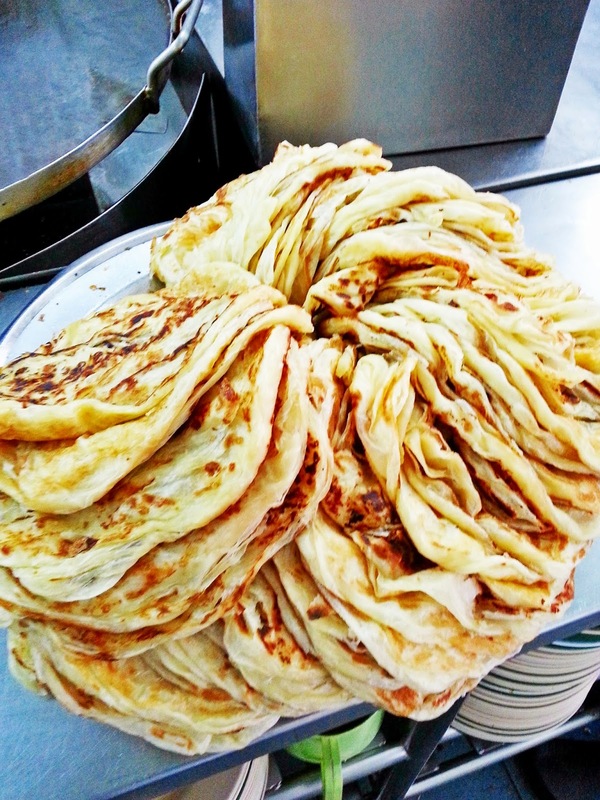 Back in the 90's, the Roti Canai maker is solely tasked to do that alone and works on 12 hour shifts. That time itself, his salary was RM 3,500 each (as there were two of them). I wonder what they are paid these days and that's a confirmed figure as I used to know them on a very personal level. The demand for Roti Canai just never ends here. Coming back to today, as I walked in, I placed my orders with one of the staffs there and within minutes, my food and drink were served. Everyone works in an express mode here and there is just no time for rests, except during their break hours. They generally have two drink sizes and I just preferred the small glass this morning as I was in a rush. Their Teh Tarik is very good, in fact this is also a good place just to chill while having a Teh Tarik over conversations with old friends. The only setback with the place would be the environment itself. It is not conducive for lengthy conversations as seats are limited during the day. At nights, it is fine as they have tables that are extended over to the roads right up to the riverbank. 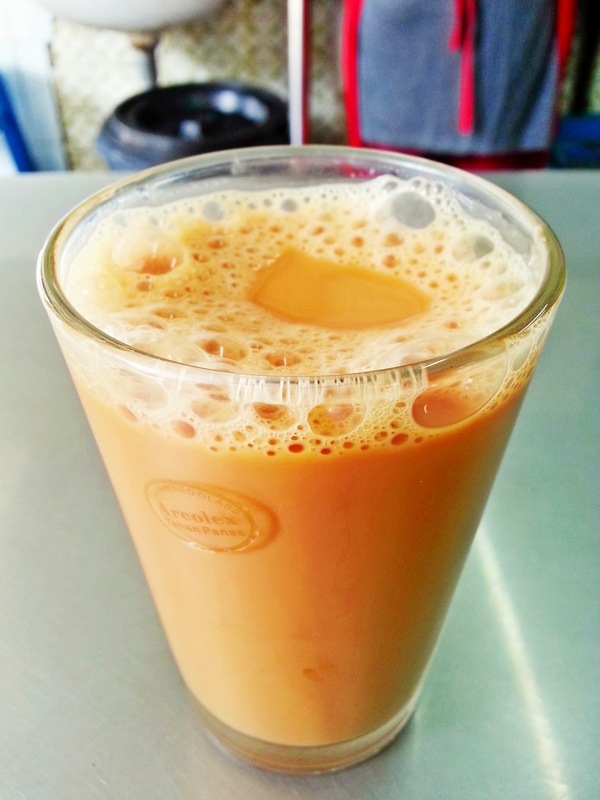 For me, their Teh Tarik is very good and I would rate this at 9.5/10 . 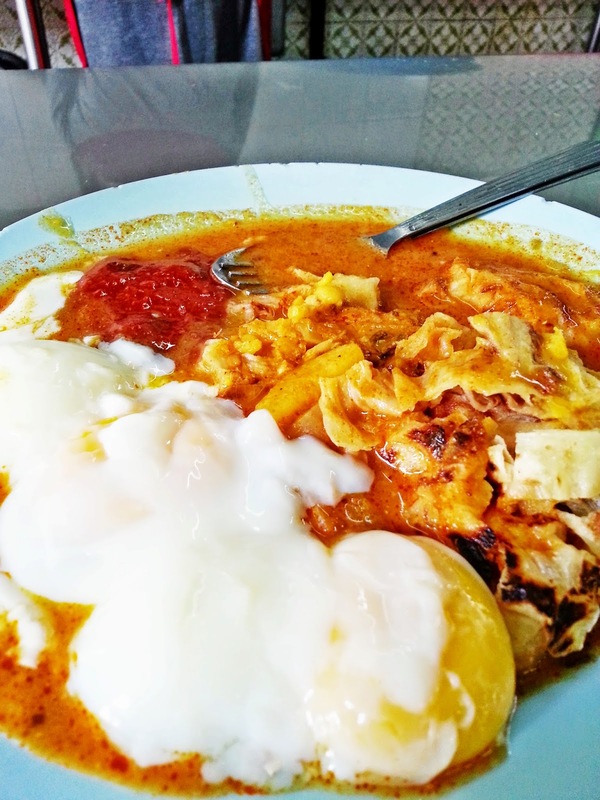 Their Roti Canai Banjir Special is priced at RM 2.80 per plate. 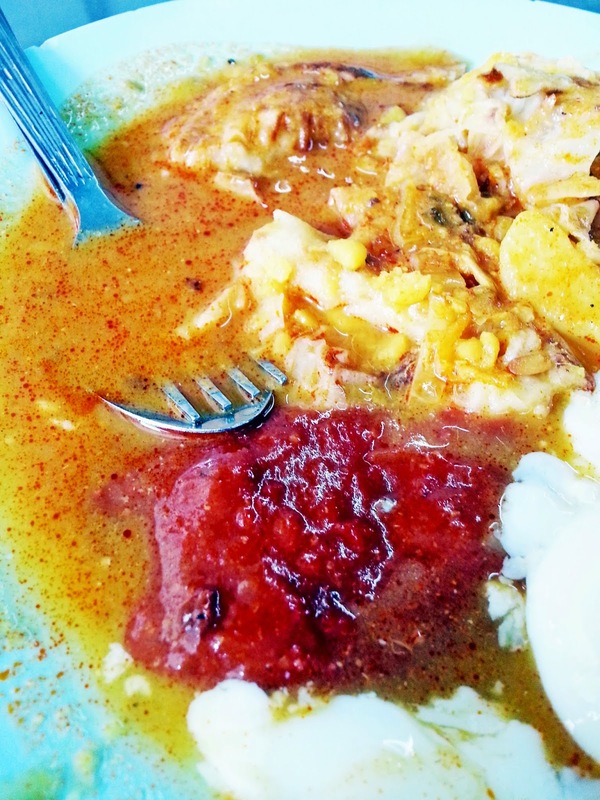 This comes with 2 slices of Roti Canai, 2 half boiled eggs, Dhall, some Fish Curry and some spicy Sambal. 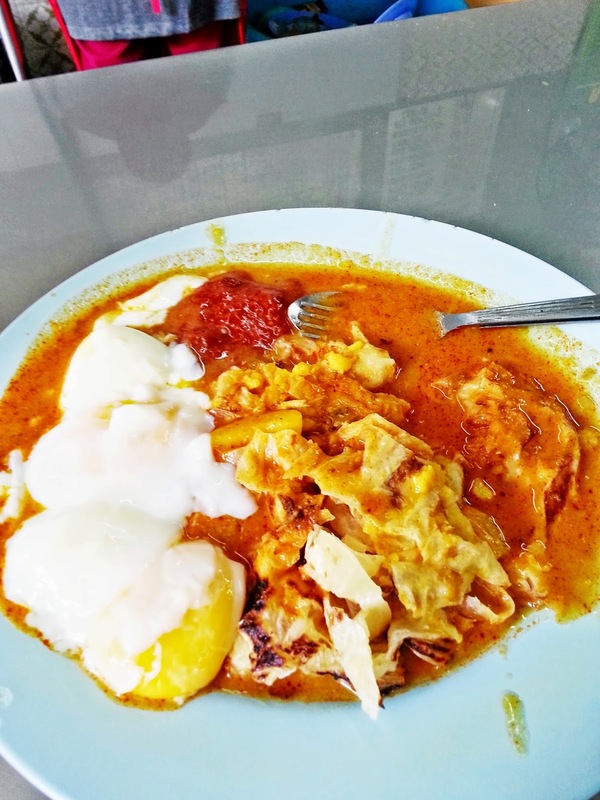 In order to have this dish, one needs to mix the entire lot thoroughly and in that process, ensure that the eggs too are beaten and successfully blends with the gravy, Sambal and Roti Canai. To some, this may seem like an odd practice but trust me, it is really good. Once the entire lot is mixed up, it does look strange but just forget about the colour or texture for a minute or so and enjoy the dish. Some have a pet name for this too which does not sound too comfortable to be mentioned while eating. Anyway, don't be surprised if you hear anyone mention Roti Muntah Kuching which translates to be 'Cat's Vomit Roti' as they are referring to the very same dish. If you have a second look, it does look like that but just put that thought aside when having this, especially when having it the very first time. Once you are used to it like me, you would be coming back for more. The taste is just awesome. The Dhall and Sambal and the half boiled eggs along with the Roti Canai just emanates a burst of flavours that is hard to put in words. It is one that has to be experienced in order to know the joy of having this dish. For me, I would rate this at 9.5/10 . The only other place I know of, that has tried to duplicate this dish to a certain level of success is Restaurant Mahbub, which has two branches, one in Bangsar and the other in Damansara Damai. They too have the same, priced much higher and tastes 75% similar. They are just not there yet to compete with these guys. Definitely worth making a trip to try out this unique delicacy! Jalan Masjid India, 50100 Kuala Lumpur, Malaysia. Yes! This place is awesome. 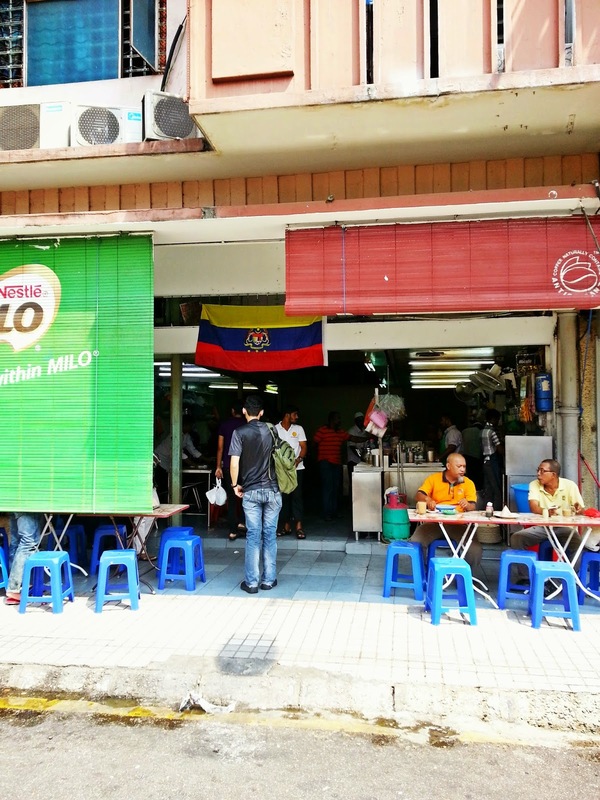 Ate here many times for breakfast during my two months in KL. Can't wait to go back this winter.